Costa Mesa is a 16 square mile city located in Southern California. This city is in Orange County, its neighbors include Newport Beach, Irvine and Huntington Beach. The southern tip of Costa Mesa is just one mile from the Pacific Ocean and the beach. Costa Mesa is approximately 40 miles south of Los Angeles and 90 mile north of San Diego. The city is known as the “The City of Arts” as it filled with many musical, theatrical, and art outlets. Historically this was a semi-rural community of farmers and World War II veterans. Over the years, many of the original small cottages have been updated or rebuilt, while retaining the large lots many of these neighborhoods are known for. 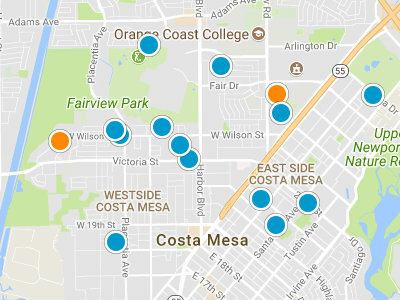 There are five distinctive sections to Costa Mesa: Central Costa Mesa, Eastside Costa Mesa, Mesa Verde, South Coast Metro and Southwest Costa Mesa. Each area has special points of interest. Central Costa Mesa is home to the city government office and Orange Coast College. Eastside Costa Mesa is located by Back Bay, Newport Beach, putting residents within walking distance Upper Newport Bay Ecological Preserve. Mesa Verde is known for its family centered neighborhoods, with many local parks, an exceptional library and within walking distance to schools. South Coast Metro is home to South Coast Plaza Mall, giving residents in this area the closest proximity to shopping and dining options. Southwest Costa Mesa was one of the first areas of Costa Mesa to be developed. The Talbert Regional Nature Park is located in Southwest Costa Mesa; it is close to 200 acres with picnicking areas, native plants and local wildlife. 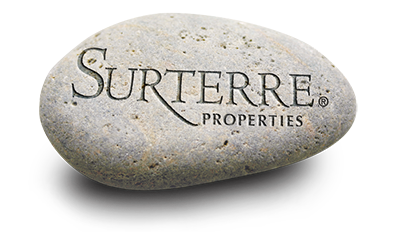 Let the Franco Team of real estate professionals guide you through the many choices that Costa Mesa offers.